While Nissan is clamouring for more of the London-taxi pie with the NV200, Mercedes-Benz sends out a timely reminder to cabbies that most of the pie is already in the Vito Taxi’s mouth. And if the taxi drivers want to remain in the black, then there’s only one black cab to consider. The German taxi-maker claims 40% share of the market and aims to have more. 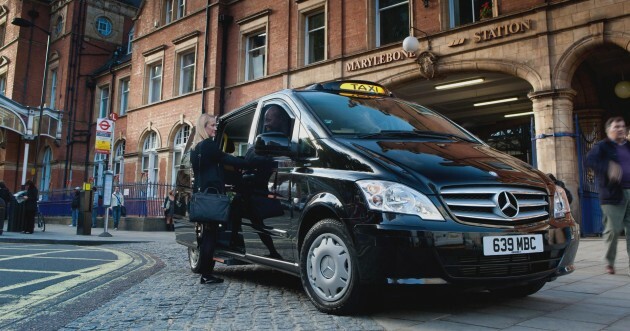 The Vito Taxi 113CDI is capable of seating up to six passengers and is fitted with a Low Speed Manoeuvrability system that enables rear wheel steering, resulting in a kerb-to-kerb turning circle of just 7.62 m. Other standard features include independent air conditioning for driver and passengers, Parktronic sensors, flush-fitting electric steps and electric-powered doors. It also has a large boot. 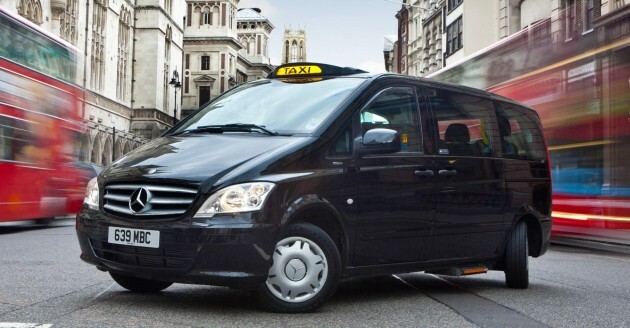 The black cab is powered by a four-cylinder diesel engine that produces 116 hp. It is mated to a five-speed automatic gearbox. The commercial vehicle records a combined fuel consumption of 8.1 l/100km and emits just 213 g/km CO2. If you’re in the UK and want to get one, the taxi is yours from £135 per week. It comes with a three-year/150,000 mile warranty and up to 24,000 mile service intervals. The Service24h comes standard; it gives drivers free roadside assistance for three years. beats the Nissan Flat except save for Fuel Efficiency. Such a big car with only 116 hp, I assume its a Diesel? well if u READ properly, it says it IS a diesel engine…..
Talk about the iconic London taxis, everyone is proud of them. But mention out taxis to foreigners, the complaints is longer than the great wall! Niamah! Vito unfortunately is not sold in Malaysia. It is bigger than Alphard, and it is NOT RECOND. why there’s no mpv or van that can steer its rear tire like this vito in our market?..its benefit for turning very tight corner at my place..